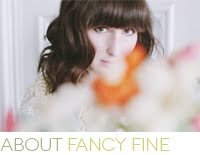 Fancy Fine: bohemian bisoux giveaway #2! 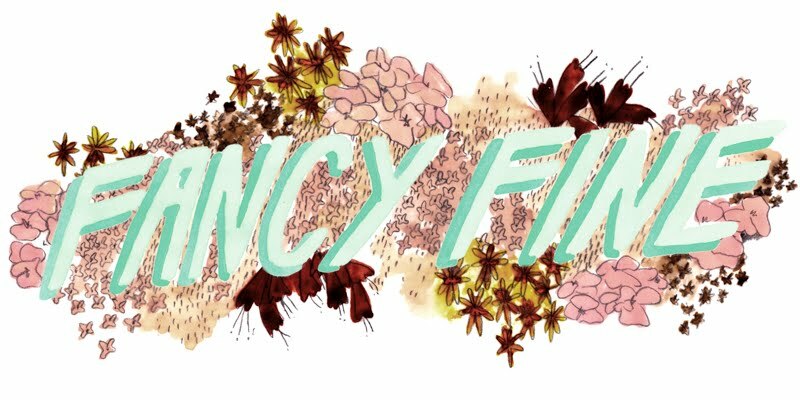 Good news: Bohemian Bisoux, one of my lovely sponsors, is offering yet another $75 gift certificate to Fancy Fine readers, just in time for the holidays. Think of the amazing vintage goodies you could buy with that! The giveaway is open to international readers and shipping is on the house. 1.) What is your favorite holiday treat? 2.) What is your favorite treasure from the Bohemian Bisoux shop? Good luck, darlings! I will announce the lucky winner on December 7th. 1. I would have to say my favorite Xmas Treat would be chocolate covered pretzels with crushed peppermint. MMM. 2. My fave item from Bohemian Bisoux is "The Dawn" dress. So adorable! Ohhh, la! Thanks for another lovely giveaway! 1.) My favorite holiday treat is the endless array of special Christmas cookies that my mother and aunts bake. The nom just won't stop! 1) Fav holiday treat; Baileys Hot chocolate! <3 <3 <3 <3 THIS! i love any sort of cookie. i have such a sweet tooth. 1.) My favorite holiday treat is candy canes. Or - a candy cane cocktail. my favorite holiday treat is definetly cheesecake! i hardly ever eat it any other time of year, and gosh its just soo good! that colors is so good, and wearing chiffon is one of my favorite things to do. My favorite holiday treat is the "buche de Noël", a wonderful christmas cake in the shape of a log from my home country, France! 2. It has to be The Queen Bea- Vintage 1940s Pale Pink Pastel Velvet Netted Crazy Eccentric Cupcake Bon Bon Hat Fascinator Headpiece Pin-Up Burlesque!!!!! 1. This is a tough call, but I'm going to go with white hot chocolate - so rich and delicious that once a year is all I can handle. oooh, it's my first time commenting your blog, so hello! and um. 1) I love a good cup of hot spiced cider with a splash of rum to get me in the holiday mood! I love Bohemian bisoux! So much stuff I want! My fave holiday treat is gingerbread lattes or my mam's homemade stuffing. There's so much I love in the shop it's so hard to choose, but I have to say the Vivian Leopard Print fur and green wool hat is amazing! I love Bohemain Bisoux! So much beautiful things! My favourite holiday treat is a gingerbread latte or my mam's homemade stuffing on Christmas day. My favourite item is the Vivian Leopard Print and green hat! So amazing! My favourite is cranberry sauce, stuffing and fake turkey leftover sandwiches! 1. Cherries!!! They seem come into season JUST before Christmas. My favourite holiday treat would have to be eating pavlova with whipped cream and strawberries while sitting outside in the sun on Christmas day - can't wait! 1.) I think my favorite holiday treat is actually chocolate advent calendars, I know it's lame, but I love them! 2.) I think my favorite treasure would actually have to be the shoes of theirs you've put up a picture of... I am in love with them! 1. my favorite holiday treat is candy cane cookies with almond extract my aunt makes every year. 2. my favorite treasure is the mia dress, so pretty! 1. My favorite holiday treat is dark chocolate dipped almond leaf cookies. My grandma sends them to us every year! 2. I LOVE 'The Margherita' one piece with the sequin musical notes! 1. My favorite holiday treat is my aunt's chocolate truffles rolled in peppermint. 2. This, http://www.etsy.com/listing/60617971/the-atticus-vintage-1920s-pennant-navy because it reminds me of the swimsuits worn in "Some Like It Hot" and because I like things from the 20s. my favorite holiday treat is apple cider! I just love the The Dawn- Vintage 1950s Seafoam Pale Lavender Full Sweep Circle Skirt Silk Chiffon Cocktail Dress Size Medium M from there shop! Favorite holiday treat? Definately egg nog smoothies! icecream, bananas, eggnog and cinnamon! You need to try it! 1. black eyed peas and collard greens . . . with fried pickles. the best of being both jewish and southern. 2. the josephine. i'm panting. my favorite treat is snow ball cookies! and my favorite is The Rebecca- Vintage 1930s 1940s Chocolate China Mink Fur Wrap Collar XL. My favorite treat is peppermint bark! My favorite item is the Ali MacGraw Lacoste Cardigan! Such a pretty color! 1- My fav holiday treat is the big tin with the 3 flavors of popcorn, usually cheddar, caramel & butter. My great Aunt always used to get one for me about a month before Xmas, and it just really meant 'holiday time' to me. 2-The Gia dress is unbelievable!!! The classic cut with that amazing bead work is killing me right now! 1. My favorite holiday treat would probably have to be chocolate dipped fortune cookies! 2. The Nance- Leopard Maxi Skirt is ADORABLE. 1.) My favourite holiday treat would have to be Rum Balls. My nanna and I would spend hours together making, rolling, and packing them for christmas pressies and it has created some treasured memories. 2.) The 1920's Sleep Cap (http://www.etsy.com/listing/60749743/the-margaux-vintage-1920s-flapper-art)! 2.) i love love love the marguerite! 1) MMmmm i would have to say home-made baked hot chocolate. my specialty! 2) http://www.etsy.com/listing/61159350/the-betty-vintage-1930s-honeymoon-straw i love these shoes because they are so gorgeous, made from hemp and they really stand out! i would wear them if only my feet were a size 6! 1. )My favorite treat is my moms cranberry bread. 1. Rum logs... shortbread cookies with rum icing and nutmeg. 1.) My favorite holiday treat is ice cold eggnog. I love it! 1. My favourite treat for the holidays is my home made apple pie! 2. The iris coat is just so beautiful! Especially for this coming "cold" weather in San Francisco. Thanks for offering such a great contest! 1.) My favorite holiday treat is a Gingerbread Ice Blended at the Coffee Bean. So good! 2.) My favorite item is the Barrymore vintage 1950s purse, it's gorgeous! 2)Yellow isn't a colour i'd usually wear, but the fit of this and the beading on the arms and neck are to die for! 1) I love my Mom's "White Chocolate and Peppermint Bark". 2) The Ali MacGraw Cardigan is too cute. My treat of choice is Christmas pudding with brandy custard and fresh whipped cream (even though it's always far too hot here in South Australia for any sensible person to eat that kind of food - but we all do!). Also, I am in love with the Dottie dress. 1.) being with family and seeing some friends/family I haven't seen in a while. 1.My favorite is the tree nut truffle that me and my mum makes every year. 2.http://www.etsy.com/listing/60622979/the-mia-vintage-antique-1910s-edwardian I am in Love with this one. 1)I think my favorite holiday treat is havin Christmas Dinner. My mother and I cook the best things ever. 1. my favorite holiday treat is a nice cup of hot cocoa with peppermint and homemade whipped cream. 2. I really love the hailey pale blue cameo earrings, adorable! 1) my favourite christmas treat would have to be egg nog with rum! 1) My favorite holiday treat is seeing my family! 2) I love the "The Dawn" dress! 1. for the holidays i can never get enough christmas music! my itunes is full of every christmas song imaginable - i live for the day after thanksgiving when i'm finally "allowed" to belt out my favorite songs at the top of my lungs! 2. The Fifi- Vintage Antique Victorian Late 1800s Black Beaded Silk Satin Tie Neck Cape is so lovely! I can definitely see myself wearing it to some fabulous holiday party! My favourite item from Bohemian Bisoux is this gorgeous 50s frock "The Anita" - I don't think I could find a more pefect dress to wear on Christmas Day!! 1. Cuddle your loved one in bed or on sofa whilst enjoying a nice cup of hot chocolate. Just enjoy a simple moment together. Thanks for the opportunity and have a great weekend. 2.) i love it all, but my favorite is the genevieve vintage 50's pink velvet dress, my goodness it is stunning! I think this giveaway is a great idea, I now have them as my favorites on etsy! thank you! 2. The Barrymore handbag definitely...so cute! 1) My absolute favourite holiday treat is the super-chocolate pepper cake (I actually make it myself) Lots of chocolate and no flour! 1) over here in belgium and holland, we always eat clementines in the christmastime, so those are my faves! 1. Peanut butter blossoms--those peanut butter cookies with Hershey kisses? Mmm, I could go for a few right now! 2. Probably this dress! I love the 60s, bohemian details, and black. And I need a Christmas dress. 1. I really like making these small pecan cookies covered in powdered sugar with my mom. 1) Rice porridge with cinnamon and sugar. 1.) My favorite holiday treat is the fresh crab rangoon my mom makes every year, we much on it all day! 2.) I love the "Leona" dress, so unique and amazing, and just my size. 1. Treat: The hard to find Jingle Bears -- gingerbread cookie and vanilla ice cream sandwiches. 1) Do hot toddies count as holiday treats? Also anything with ginger or pumpkin--maybe pumpkin-ginger bread pudding? 2) I adore the Stella Bombshell dress!! 2) The Vivien Leigh, love the collar detail, and color! 1) I love christmas advent calendars. I know the chocolate in them is usually like bad quality chocolate that other people don't like, but I still love it more than any other candy since I get the super cozy christmas feeling in my tummy. 2) The Frederica is probably the most beautiful dress I've ever seen. Exactly what I would like to wear at a ball this spring with my silver shoes. owwww PURRFECT!!!!! thank you!! I love Bohemian Bisoux!!! 2)I adooooore the Genevieve dress!! 1 - that's a hard question! anything with currents and a bit of cinnaman is good enough for me. give me a mince pie, christmas cake or christmas pudding anyday of the week. 2 - that beautiful little 'Lola' wedding clutch. that beading - true perfection! i think i need it in my life! 1. My favorite holiday treat is pecan pie. 2. My favorite item in the shop is the Trixie bag by Bobbie Jerome. The lucite handle is gorgeous! 1. I love picking up Ghiradelli's peppermint bark during the holidays. 2. The Scarlett handbag is gorg! My favorite Christmas treat is the bourbon ball cookies my sister always makes. They're spicy, choclately, and bourbon-y... Soooo good. And I have quite a penchant for Trader Joe's candy cane Joe-Joe's. They're just oreos with candy cane in the frosting... genius. 2. The Gigi vintage white straw red relvet dramatic hat is my favorite! I love the whole Christmas meal! You never get another dinner like that all year long! But I do like Gingerbread Latte's too. Oh - and those danish wedding cookies that look like little snowballs!!!! PUMPKIN PIE. It's so good. I love the spices, the texture, the smell. It's all amazing. I love the frenchie fur hat. So cute and classy. Favorite Christmas Treat would have to be buying gifts...i know you were expecting a candy of some sort...but the sweetest treat there is, is buying something special for someone else! Its my favorite part of christmas. Oh goodness...there are so many pretty things...I guess I would have to go with the Sophie brooch, the Lola clutch or the trixie hair clips. I just love baking cookies and eating popcorn all the time in the Holiday season. I don't do it so often otherwise at all!! I know, not very unique. I'm a simple person. I love "The Gigi" hat. 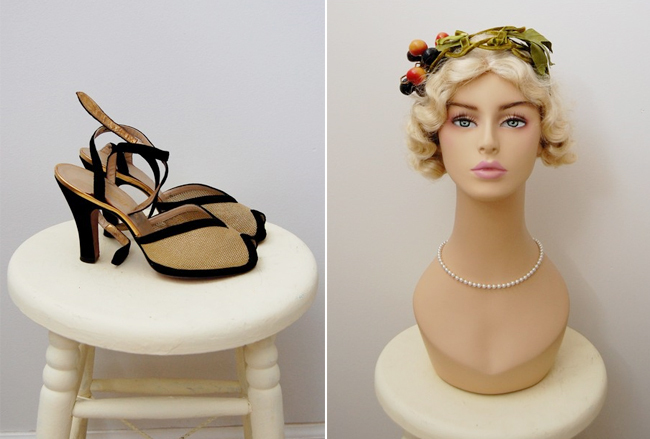 2) the 1940s shoes in this post are my very most beloved thing in the shop. I love pumpkin pie. It's my favorite. The Annelise. It is beautiful.